You know the keto diet basics and have your meal plan, but no matter how well you eat…everyone feels a little snackish at times. As the weather gets colder, it’s natural to crave the one thing that truly signifies cold weather: Pumpkin Spice! Pumpkin Snack Attack…the Keto Diet Way! Very often, when feeling a craving for sweets, it’s not so much a hunger you’re trying to curb, but a feeling you’re trying to fulfill. This time of year, with pumpkin spice all around, is especially hard! It’s natural to be feeling a bit like you’re missing out because everything is dripping with pumpkin and sugar. To help, we went off and found the perfect Ketogenic Diet Pumpkin snacks to give you that warm fuzzy feeling without the carbs! These delicious small bites of pumpkin pie, topped with vanilla, will have you wishing for the holidays year-round. These are a great addition to any holiday party or cold weather meal. Joel Marion enjoys a Healthy Fat Bomb for a snack on his 14 Day Keto Challenge program to keep energy levels high and hunger at bay. Fat Bombs help maintain acceptable ketone levels to allow your body burn off the most stubborn belly fat. 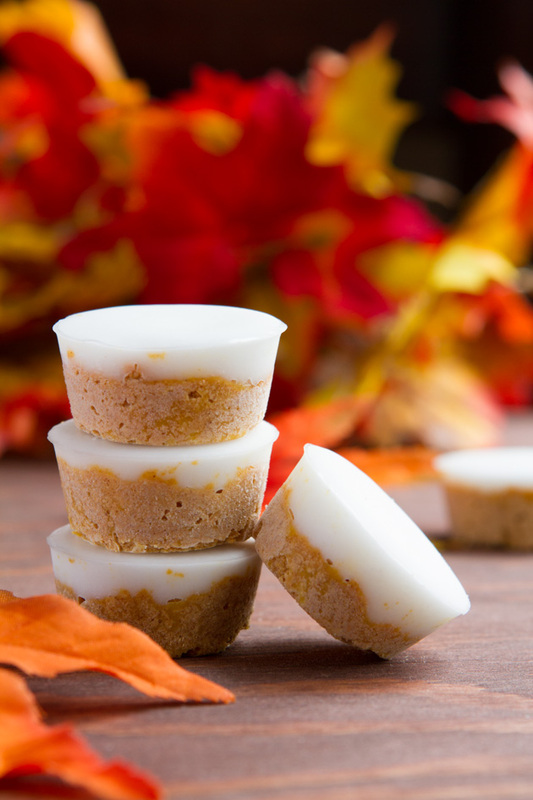 With only 1g carb per serving, these are the perfect guilt-free pumpkin spice treats. Eat these for a quick breakfast, paired with coffee sprinkled with your pumpkin pie spice. These are a great way to satisfy a sweet tooth during the day as well! Now that you are set on your pumpkin spice treats, you’ll simply need a new scarf, and some great gloves to truly embrace the winter season! Previous Post Ketogenic Diet Meals: The Taco Tuesday Dilemma Solved! Next Post The Perfect Keto Powder – Is there finally a Revolution in Dieting?